The US is currently in the grip of gun restriction mania following a spree of mass shootings. While campaigners are invariably quick to invoke the latest incident as further justification for increased gun restrictions, Dave Ewing, founder of advocacy group Firearms UK, has warned against "kneejerk reactions". 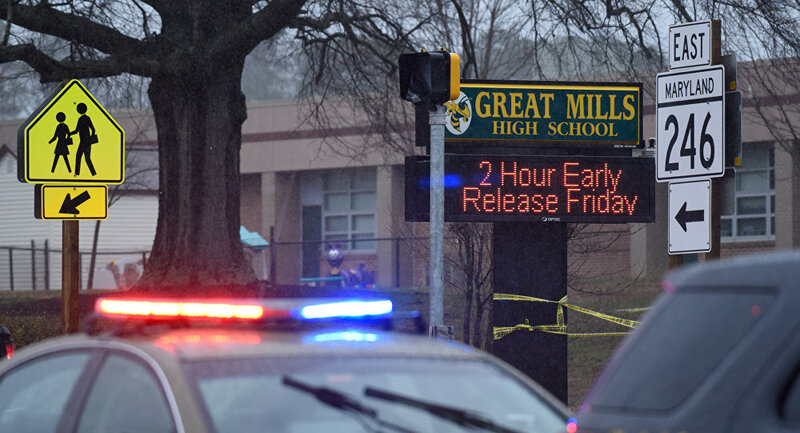 In a shooting at Great Mills High School in Southern Maryland, US on the morning of March 20, two students have been injured, with a third — the shooter — killed after engaging fire with the school's resource officer. The two injured students — a 14-year-old boy and 16-year-old girl — are being treated at local hospitals. Neither their identities, nor the shooter's, have been released. 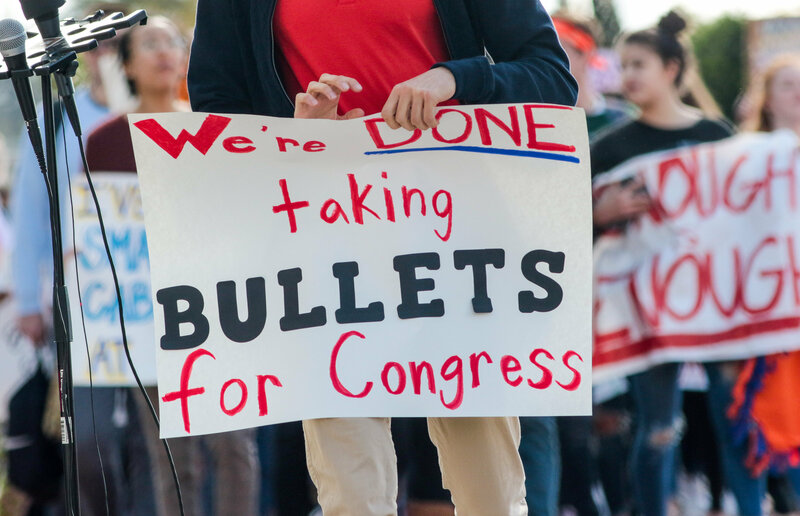 The shooting coincides with nationwide protests by American school students, who walked out of class to demand stricter gun legislation, among other reforms. While details of the incident evidently remain sketchy, it's almost certain gun control advocates will be keen to invoke the tragedy as further justification for harsher restrictions on ownership, and perhaps even outright bans, of firearms in the US. Such campaigning has been a staple of the aftermath of every US mass shooting incident in recent memory. US campaigners often point to the UK's experience in such cases — following March 1996 Dunblane Massacre, a mass-shooting at a Scottish primary school in which 16 children and one teacher were murdered, and 15 more seriously injured, handguns were banned in the UK, and serious restrictions placed on ownership of shotguns and rifles, with only the police and military permitted to carry automatic weapons. As the gun homicide rate in England and Wales is extremely low, about one for every million people, UK firearm laws are viewed as successful in ending gun-related violence — by way of comparison, there are around 160 times as many gun-related homicides in the US, despite the country's population being a mere five times larger, roughly. Students take a moment of silence outside Crescenta Valley High School as part of a National School Walkout to honor the victims of the shooting at Florida's Marjory Stoneman Douglas High School, in La Crescenta, California, U.S., March 14, 2018. However, Dave Ewing, founder of gun advocacy group Firearms UK, urges US citizens and legislators alike not to be rushed into "kneejerk" reactions on the issue. "There needs to be a period of calm consideration, in which we determine what really happened, and what the motivation of the attacker was. It could've been a personal grudge, for instance — the low number of casualties suggests this wasn't an attempted mass shooting. The shooter may also have been on medication, and/or a bullying victim, common features of these incidents. It's also important to remember Maryland has some of the strictest gun laws in the US, with lots of restrictions on the purchase and ownership," Dave told Sputnik. In its 2017 annual review of gun laws by state, Giffords Law Center ranked Maryland sixth out of 50 in terms of restrictive strength, with an ‘A-' rating overall. In its overview of the state's gun laws, it notes Maryland ranks 32nd out of the 50 states in respect of gun death rate per capita, and there are stringent restrictions on concealed carry, ownership and purchase of military-style weaponry, and comprehensive background checks. Moreover, all gun owners must complete a certified firearms safety training course, no one can buy more than one handgun or assault weapon within a 30-day period, and owners are required by law to report the loss or theft of their firearms. "Much more damage could've been done with legally available firearms than was in the event, and even if greater restrictions were placed on firearms in the state, there will always be other methods to cause injury and death. I think irresponsible media reporting also plays a role in inspiring school shooters — people think they can go out in a blaze of glory and secure posthumous notoriety, absolutely certain their name will be everywhere. Widespread news coverage of these incidents has been found to inspire copycats," Dave told Sputnik. In essence, rather than bans and the like, the firearms advocate believes robust background checks are fundamental to preventing shooting incidents — "isolating those who could cause harm, and preventing them from doing so." He points, for example, to the Czech Republic's gun control system. There, guns are available to anyone with a firearms license, obtainable in similar fashion to a driving license — passing a proficiency exam and medical examination, and having a clean criminal record. There are around 300,000 gun owners in the country — 2.72 percent of the population — of which 240,000 have a "concealed carry" permit. Despite the comparatively liberal availability of legal firearms, the country's gun homicide rate is one of the lowest in Europe. Similarly, New Zealand is home to the most liberal firearm legislation in the Pacific region. There, owning a gun requires a police-approved license — applicants are vetted to ensure they can securely store firearms, are obliged to attend a safety program administered by the national Mountain Safety Council, and pass a written safety test. Police will also interview applicants and two character witnesses, to determine whether they're "fit and proper" to own a gun. A criminal record or associations, or history of domestic violence, almost always mean an application will be declined. In total, 230,000 Kiwis — 4.9 percent of the population — own a total of 1.1 million firearms. Despite this, between 2007 — 2014 the average number of gun-related homicides in New Zealand every year was just eight, despite the country's population rising, and the number of guns in circulation — and shooters — increasing year-on-year.